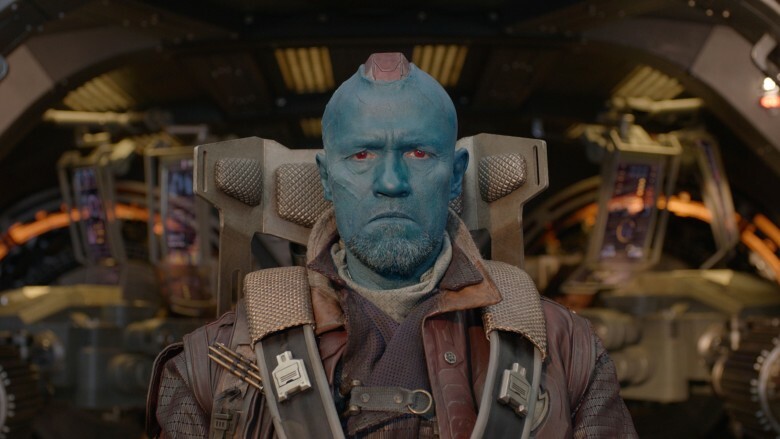 Even though Guardians of the Galaxy's Yondu has a blue face and a metallic mohawk, he's still pretty familiar-looking to movie and television fans, and for good reason. The actor who portrays him, Michael Rooker, is quietly one of the most prolific actors of his generation. From his memorable TV turns to his big-budget action fare of the '90s, Rooker's resume is thick. Here are some of the roles you've definitely seen him in before he became a part of the Marvel Cinematic Universe. 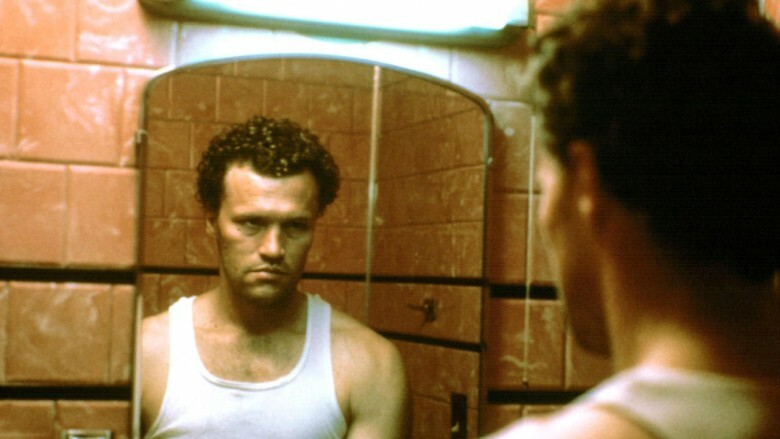 Rooker's very first film role was as the title character in Henry: The Portrait of a Serial Killer, a character loosely based on the real-life horrors caused by Henry Lee Lucas and Ottis Toole. He told Made Man's Speakeasy, "Die-hard fans are the people who've been fans of mine since Henry: The Portrait of a Serial Killer. … That was my first film, so I was scared sh**less, to be perfectly honest. I wasn't sure about this film business. I was a theater guy." He originally got the role because of his stage work, when the director of a play he was appearing in suggested him for the part. His convincing work as the maniacal murderer would later earn him ample opportunities to summon up some more screen scares, but Rooker said he made a conscious decision right away not to get typecast as the central villain. "I was offered other things like that after [Henry] came out, and I was like nah, gotta move on." 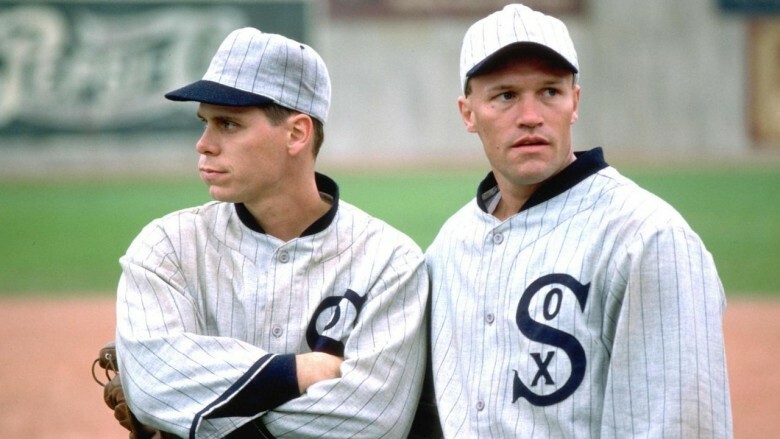 One of Rooker's first post-Henry moves was to star in the 1988 baseball drama Eight Men Out, a film based on the 1919 World Series Black Sox scandal when eight members of the Chicago White Sox conspired against their own team to throw the game and win a bet. Rooker credits playing Arnold "Chick" Gandil, one of the eponymous eight men out, with the complete 180 that turned his career around and marked the start of his rise as a screen star. He told We Are Movie Geeks, "I was fortunate to be cast [in the film]. That was an important role for me to get because that's the part that ended up getting me my agent and after that my career really snowballed and I kept getting role after role after role often in some pretty prestigious movies." Although Rooker was trying to craft a career that wouldn't always see him play the bad guy, his turn as Frank Bailey in Mississippi Burning was as unsettling as anything else he's done. His character was a racist and violent member of the KKK whose heart full of hatred led him to do things even Henry the serial killer might wince at. Of that experience, Rooker told The News-Herald, "Mississippi Burning was one of those movies where there was not a lot of joking [on set]. It was a pretty heavy, heavy piece." Indeed, his work in the movie was so convincing that the parents of one of the young actors whose character he was charged with tormenting on-screen thought he was really hurting her child. "It looked so real that the mom was behind the camera looking at the monitor, and she screamed in the middle of the scene. It looked so real. Because the angle of the camera, it looked like I was kicking the other actor in the head, when in reality I'm 3 feet away." Rooker told Made Man's Speakeasy that his elevated billing on the film was something of a fluke, too. "One of the greatest directors, Alan Parker, that I've ever worked with. I started out that film as [part of] a group [of] 'thugs,' white trash KKK 'thugs.' And Alan right away picked me out as, I don't know why, he wanted me to do all the violence." Sea of Love is definitely an Al Pacino, Ellen Barkin, and John Goodman movie through and through. 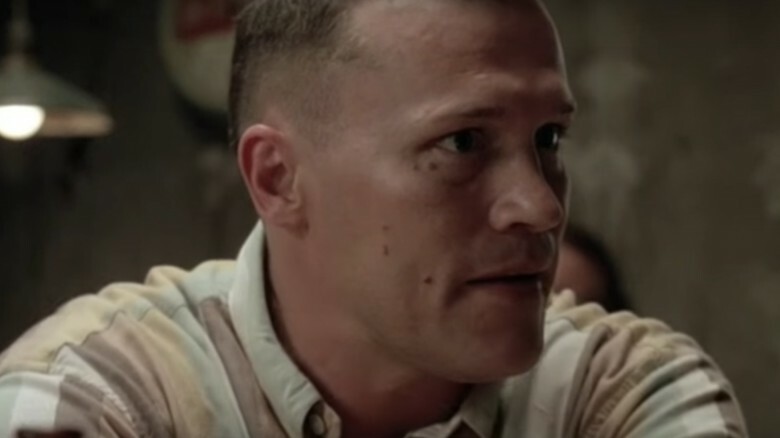 But Rooker's role was paramount to the third act and gave him the opportunity to, as he joked with Speakeasy, lie on the legendary actor's bare bottom for several days during the shoot. Rooker played the ex-husband of Barkin's character, who's suspected of being involved in a series of murders against men who've answered personal ads. "The only reason they cast me was because I scared the s**t out of Marty Bregman and Al Pacino during the reading," Rooker revealed to Premium Hollywood. "I slammed my fist down on the table during the reading, and both of them jumped. Marty almost fell off his chair! And they said, 'Well, thank you, thank you, Mr. Rooker!' And before I got out the door, Marty was behind me, saying, 'Excuse me, but where are you going now?' He didn't want me to leave! He was, like, 'Don't leave the city, we want you to do this role!'" His short work on the pic impressed Bregman enough that he was also asked to star in a subsequent flick of his, The Bone Collector, a decade later. 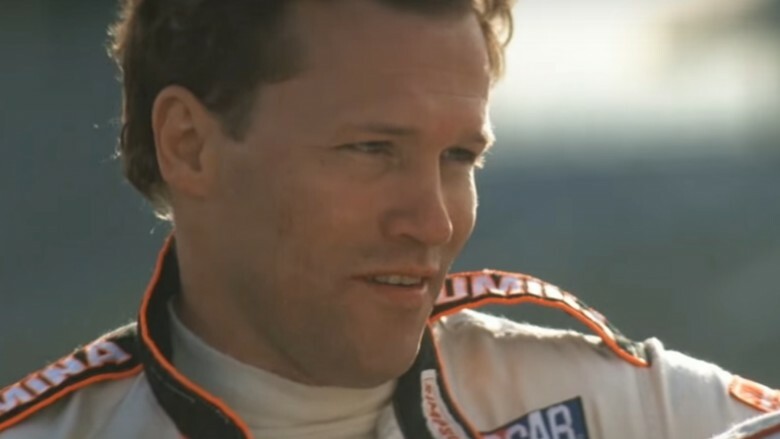 Another early genre notch in Rooker's career belt came by way of 1990's racing drama Days of Thunder, in which he starred as Rowdy Burns, Tom Cruise's competitor on the track. Rooker recalls that filming experience fondly because of the real-life competition he engaged in with Cruise, even when the cameras (and tires) stopped rolling. He told Moviepilot, "Every day he was there on time and we would literally race to the set. We did footraces to the set to see who got there first. Yeah, it was competition all the way through. He's a very competitive guy, and so we got along very well." Perhaps no crime in U.S. history has sparked as many conspiracy theories and question marks as the assassination of President John F. Kennedy. Oliver Stone's historic piece JFK chronicled one such perspective by adapting another narrative of the event, from the perspective of the district attorney who believed Lee Harvey Oswald wasn't the only one involved in the murder of the POTUS. In the film, Rooker played key investigator Bill Broussard, an investigator who doubts the conspiracy line of his co-workers, and the actor has credited the film as one of his most enthralling movie experiences of all. "When I was making JFK, Oliver Stone would put all of us actors in one room and just let us go. He ended up using many of those scenes, editing around them," Rooker told American Shooting Journal of his experience on the film. "He wouldn't tell everyone how to play a scene. When you're not given specific directions, then you have to figure out how to play the scene. … Many of my most powerful moments are when I'm not saying anything. I'm just looking or watching. I've been blessed because the editors keep those scenes in. Those moments could easily end up on the cutting room floor." 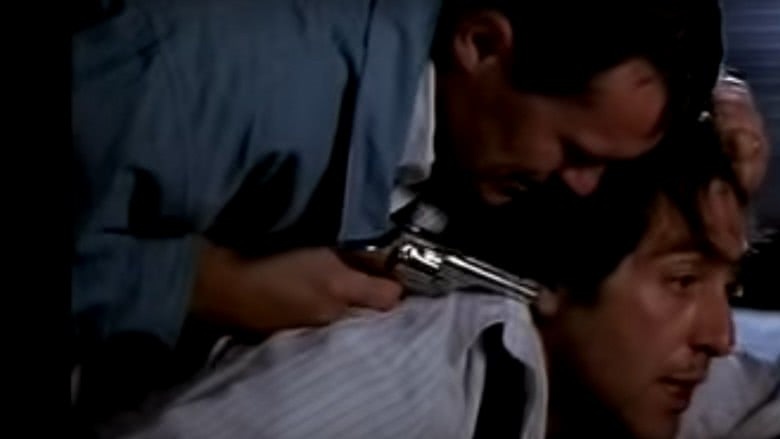 As perilous as the situation was for the characters in this '90s action classic on-screen, it was even worse for the actors who starred in it. Cliffhanger, which featured Rooker as Sylvester Stallone's climbing sidekick Hal Tucker, was a dangerous movie to make and, according to the actor himself, could've marked the end of his life, let alone career. He told The Daily Mail, "It was a real environment up in the Northern Alps in Italy and we were in real danger. We were literally on the edge of this plateau where there was a drop off of about 10,000 feet and we could see this storm coming from miles away. The decision for the crew was to stay and try to get this one last shot then we'd get the hell out of there. By the time we set it up, it was already too late. We were stuck in the middle of an electrical storm, with lightning hitting the mountaintops all around us." Rooker added that he, Stallone, and the rest of the cast and crew huddled in a tent to wait it out and were eventually rescued by helicopters which took them to safety. Perhaps that experience is what inspired Rooker's electric performance as the man who held a grudge against his bestie for letting his girl drop to her death in the opening scene. 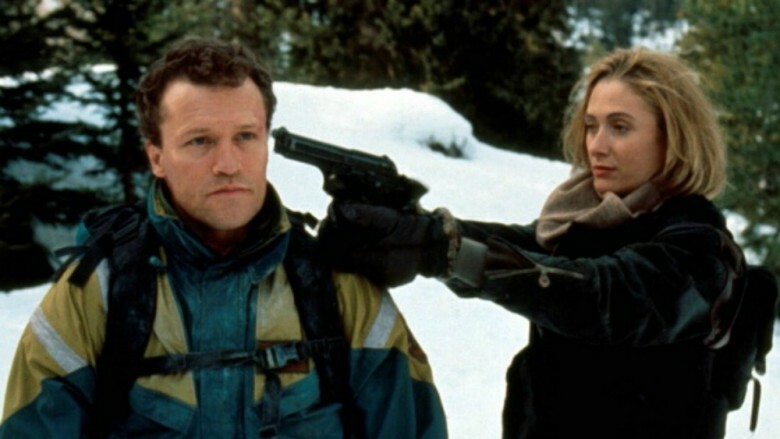 Despite its initial setbacks, though, the film ultimately landed as one of the most impressive and lasting pieces of its genre, and Rooker credits the movie with introducing him to another life-long love: guns. As he told The A.V. Club, "I learned to shoot in Tombstone. I've been shooting ever since. As a matter of fact, I'm a co-owner shareholder of a shooting range outside of L.A. I shoot at least once or twice a week." 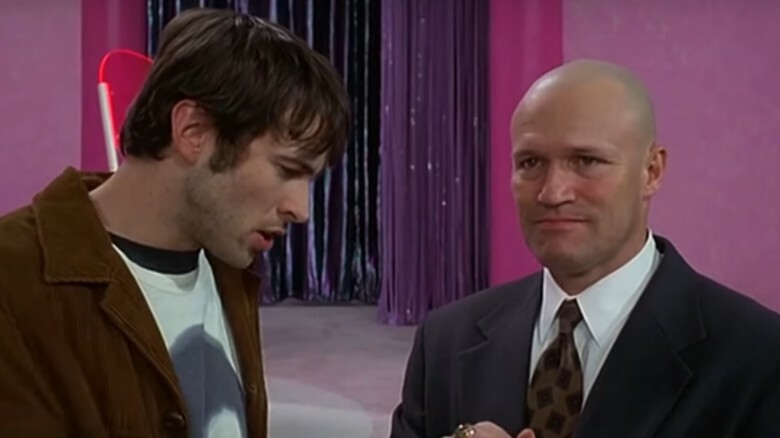 Another movie milestone for Rooker was when he finally got his shot at the comedy scene in 1995's Mallrats, playing Jared Svenning, the father of the protagonist's love interest. Unlike many of his prior performances, Rooker was completely bald in the part and credits his appearance in the pic with a hair-dressing flub that happened before the shoot. He told Made Man's Speakeasy that he was initially supposed to have dyed hair to make him look younger for the role, but after five hours of effort, it came out orange. While the producers were in favor of the look, Rooker was not and promptly shaved his head in his hotel room. "I went over to Kevin Smith, and they said, 'Kevin, Mr. Rooker's here and would you like to look at his hair?'" Smith didn't even blink, so the bald look stuck. If he returns as expected for MallBrats, the long-awaited sequel, he'll have to razor that mane yet again. There's a really simple reason Rooker was chosen to start as Yondu in Guardians of the Galaxy: he has a long working history with director James Gunn. 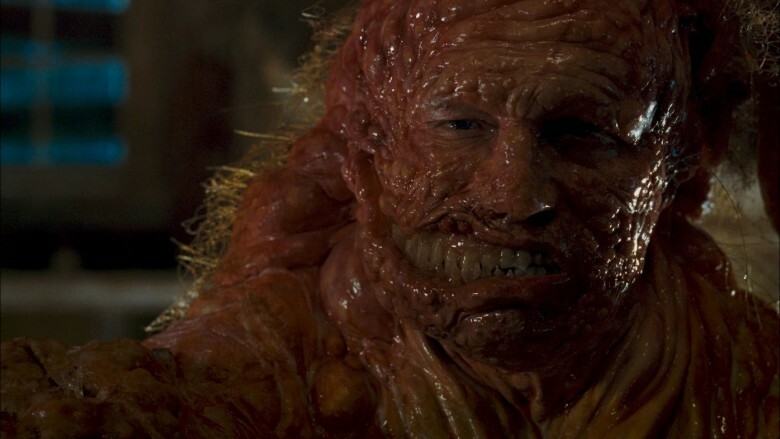 His first turn starring in one of the writer-director's pics came in 2006 with the comedy-horror film Slither, about a town overrun by an alien plague that turns people into monsters. The film featured Rooker as Grant Grant, one of the townspeople who's eventually infected by the disease, and the role made him amply ready for any prosthetic work to come in Guardians. As he told The A.V. Club, while the makeup didn't have an impact on the performance aspects of his appearance, it did take a heavy toll on his daily experience on the shoot. "The makeup had a lot to do with how I performed on the day, because it was physically demanding, painful. It took forever to put on. The first time we did it, it took eight hours. My call was four hours before anyone else's. So I'd have a 3 a.m. call if they had a 7 or 8 a.m. thing. I was there in the makeup chair for four, five, six hours. I think we got it down to maybe five and a half hours total." The good news is that the effect was as weird and eerie as intended, and he wound up nabbing parts in Gunn's subsequent adventures, including Super, both Guardians films, The Belko Experiment, and Avengers: Infinity War. 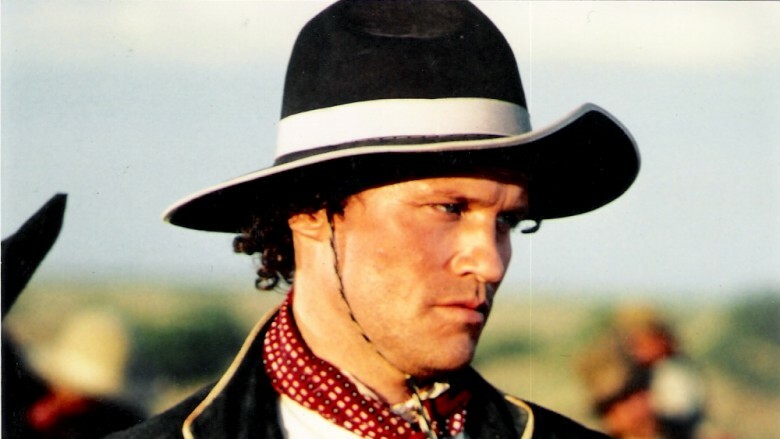 In this action-adventure pic, Rooker played the single father of Hayden Christensen's teenage David Rice, a character who could, as the title indicates, jump anywhere at any time. This talent comes quite in handy once he realizes it means he can escape his abusive father. "My guy is in a little flux … he's a single parent. Mommy left early on, and so I've been raising the boy all by myself. So tensions and stress have built up over the years. I'm not the greatest dad in the world, and so me and the kid don't get along quite well," Rooker explained of his role to Getty. "But you know what? I think that part of the story is really cool. It helps give the whole movie some heart and some reality. At least you end up understanding why this kid is wanting to jump away. … I wouldn't want to live with me." While the crossbow-wielding hero Daryl Dixon has arrived as the fan-favorite of the Dixon brood, his elder brother Merle was certainly memorable as well. Rooker portrayed the hostile honky-tonker from Season 1 to Season 3 and created quite a ripple by aligning with the then-big bad The Governor just as Rick Grimes and his company of survivors were trying to escape his wrath path. Merle proved to be quite resilient, escaping the certain death of being handcuffed to a rooftop by Rick by cutting off his own hand, and his ruthless demeanor throughout his stay with the undead made him the kind of character that still earns a chill or two from thinking back on his brutality. 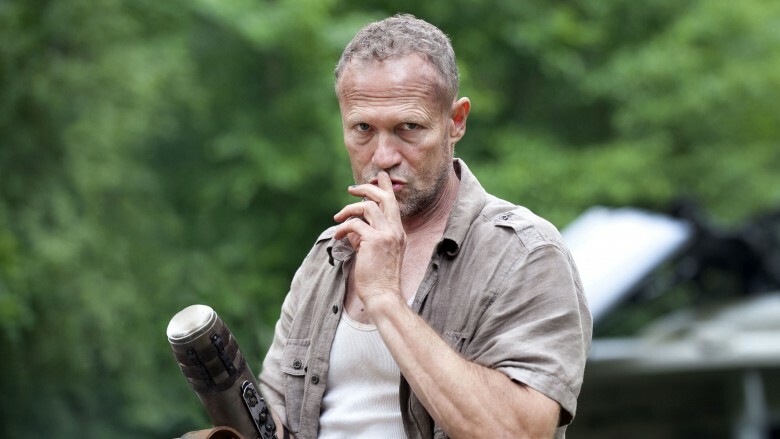 There's a reason that, even four seasons later, Walking Dead fans still have strong reactions to the mere mention of Merle. Part of the reason the role was so surprising was the character didn't appear in Robert Kirkman's comic series the show was based on, so Rooker was free to put his own signature touches on the character's nuances. As he told BlackManInc, "I had entire freedom to develop that role the way I wanted to make it work so I didn't have to use any other character as a blueprint from the comics whatsoever." Rooker's long-standing relationship with Gunn would ultimately land him in a role that was much smaller than what he was used to–but one he fully pursued just for the opportunity to team with the Slither helmer again. As he told ScreenRant, the director originally wasn't even considering Rooker for the role because the only part he had available to him was such a secondary part and he was too "embarrassed" to offer him something so small. 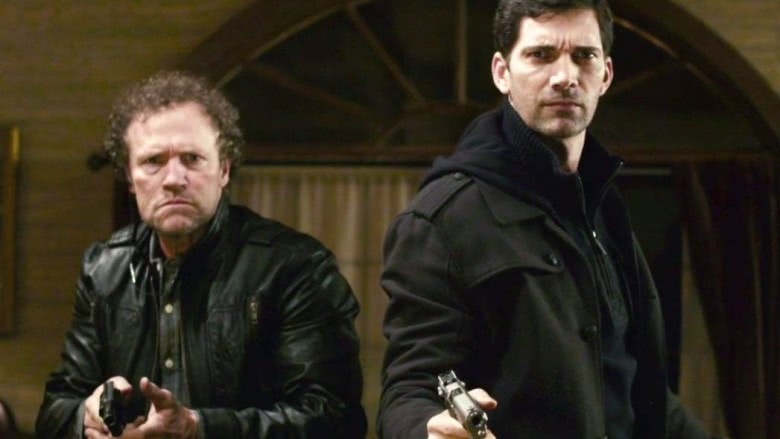 But Rooker wanted to work with him again and found a way to impart his own personality into the dramedy film about a guy who tries to become a superhero but has no skills to back it up. "It's a smaller role, and a lot of my work is done without many lines. I have to figure out as an actor to make this a full-fledged, rounded-out character. Which is kind of fun because you get to imagine it and think about it yourself, it's not in the script yet," he told Hollywood Chicago. As they say in acting, there's no such thing as a small part because, obviously, it was a good decision for Rooker to maintain his working relationship with Gunn and land that key role in Guardians of the Galaxy later on down the line. 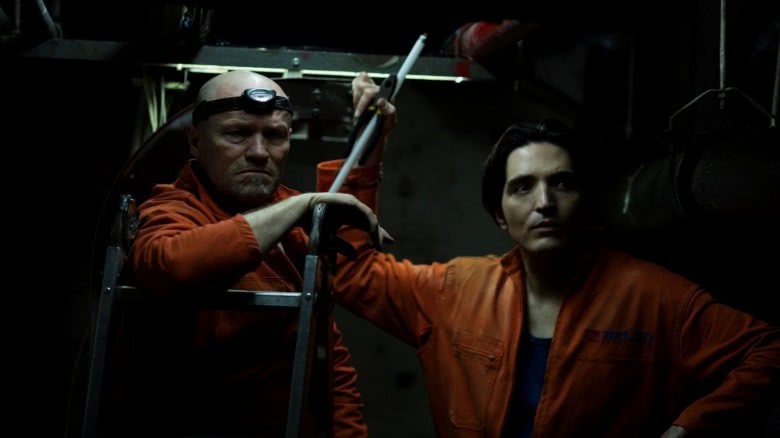 In yet another collaboration with Gunn (this time written by the GotG director and directed by Greg McLean), Rooker starred in a gore-tastic horror film about 80 Americans trapped in a building in Colombia and forced to kill one another to save themselves. In the pic, Rooker played a maintenance man who suddenly finds himself stuck in the same boat as the company bigwigs and, as the death toll creeps upward, comes to grips with his own mortality. "I was surprised that [Gunn] was such a sick human being," Rooker told Dread Central of the script. "It was a page-turner, it was a fun read, and I found it to be quite humorous. I like sardonic humor anyway and you're stuck in this situation, what the hell, man? 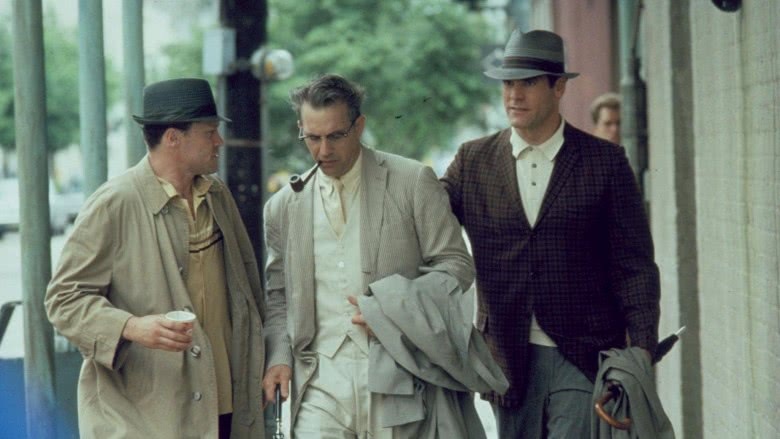 There's nothing you can do, you've got to fight for your life."